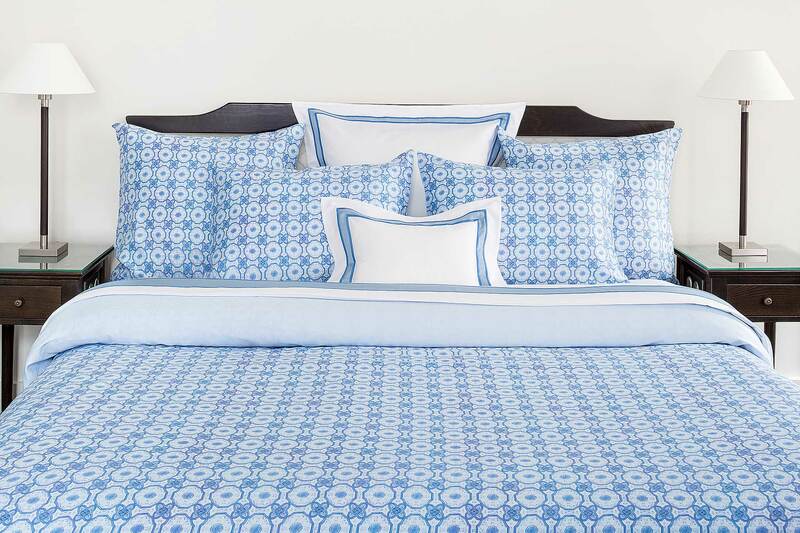 The duvets cover is in pure cotton sateen, printed with an ornamental design. Reversible: one side printed, the other is plain sateen. Up to you, how you make your bed !No borders nor bands with a zip closure . The pillow cases are also made reversible, with a zip closure. The flat sheets with the same printed band of 25 cm applied horizontally. 300 thread count long staple cotton sateen. Colours : Porcelain, Pink, Pearl grey. Follow our tip : You can co-ordinate our SIGNORIA articles with our STROMBOLI !